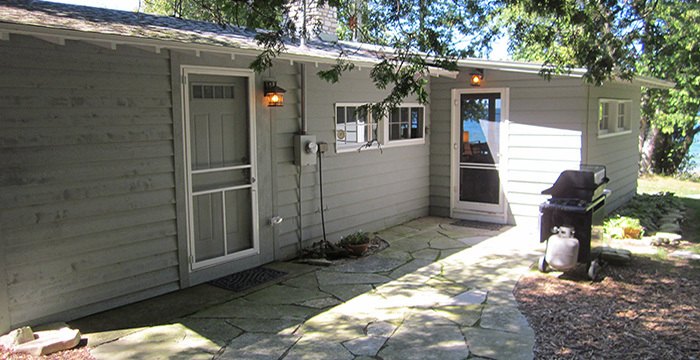 The Fleetwing rental is a unique and charming beach cottage with a private dock right on the shore of peaceful Garrett Bay. 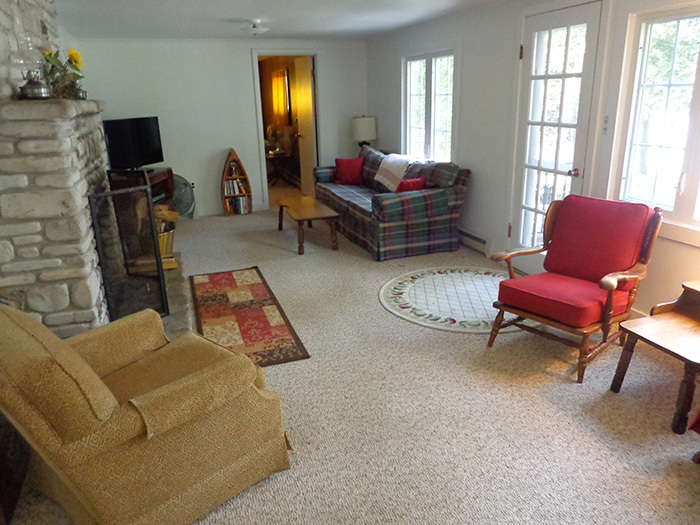 It is tucked in a private, wooded setting for a delightful northwoods vacation. The Fleetwing is completely remodeled with 3 bedrooms (one with air-conditioning) and 2 baths, also internet access, an ideal vacation home for a large family. A magnificent fireplace makes cool evenings a pleasure, or enjoy eating outside on the stone patio. 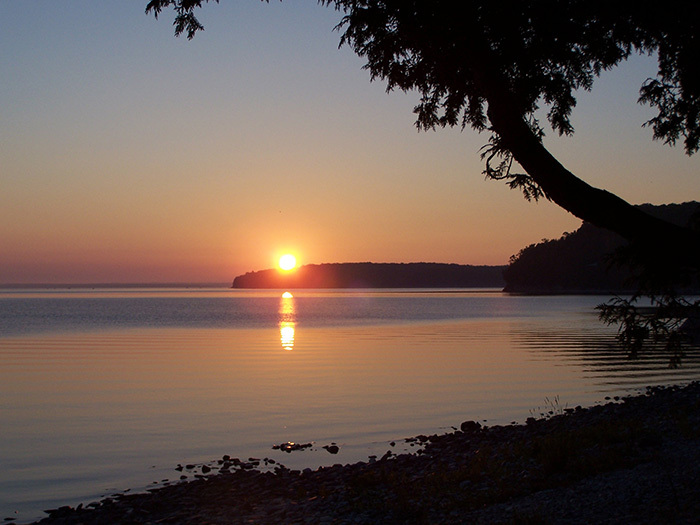 There is a private dock for sunning, swimming or enjoying sunsets, also a firepit on the beach for evening fires. Pets are welcome! Special rates available for May. 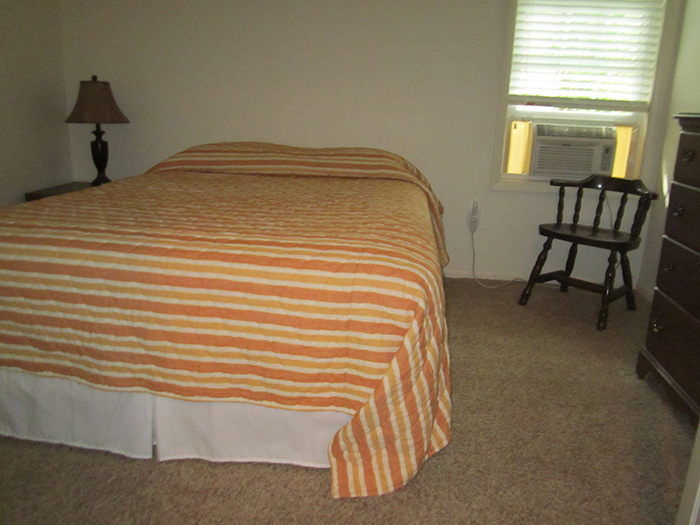 Rates: $1400-$1550 per week; $200-$250 per night, 3 night minimum. Extra charge for pets. 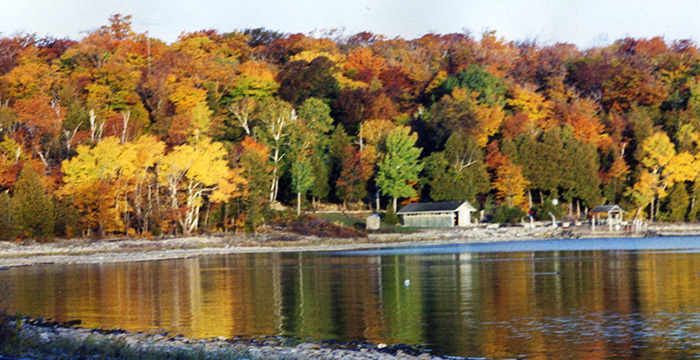 Rediscover rural Door County and the privacy and beauty of the Northern woods! The Fleetwing is a unique cottage, having a private dock right on the shore of Garrett Bay, with its beautiful sunrises and sunsets. 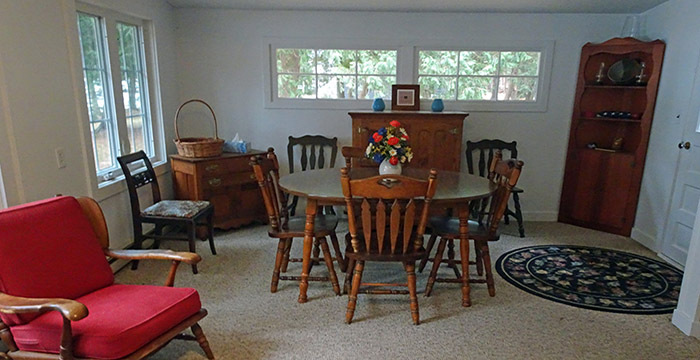 This charming rental is a completely restored cottage that still retains the character of an early 1900’s beach home. 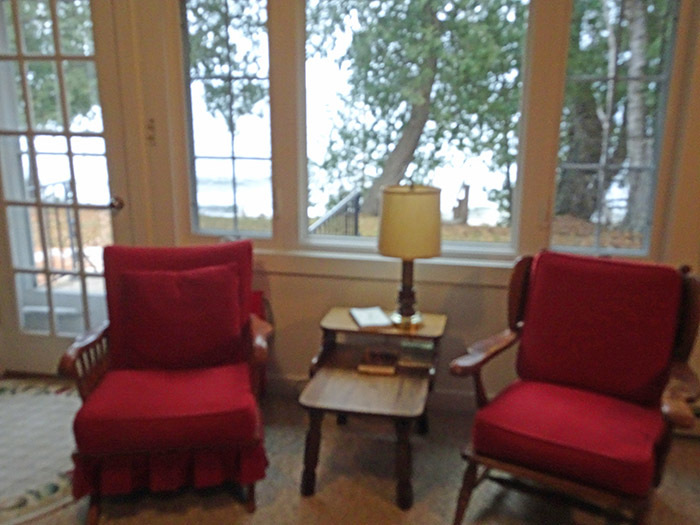 There is an original stone fireplace, classic paned windows that give a water view from the kitchen, dining and living room. The interior has been tastefully remodeled with two full modern bathrooms and galley kitchen as well as internet service. The Fleetwing has a private dock, an excellent gas grill and an outdoor eating area for breakfast, lunch or dinners on a stone patio or on a deck by the water. Or enjoy some star-gazing and a late night bonfire in the fire pit on the beach. The Fleetwing is near the Garrett Bay landing for launching of quiet water crafts and also near The Clearing and Door Bluff Park for hiking and wildlife viewing. And if you don’t want to leave your favorite pet at home, he is welcome at The Fleetwing. Divers and snorkelers will be interested to know that the name of this cottage comes from the ship wreckage right off the shore of the Fleetwing. Dive shops have long used this wreck for sight-seeing excursions and now it is truly at your front door! 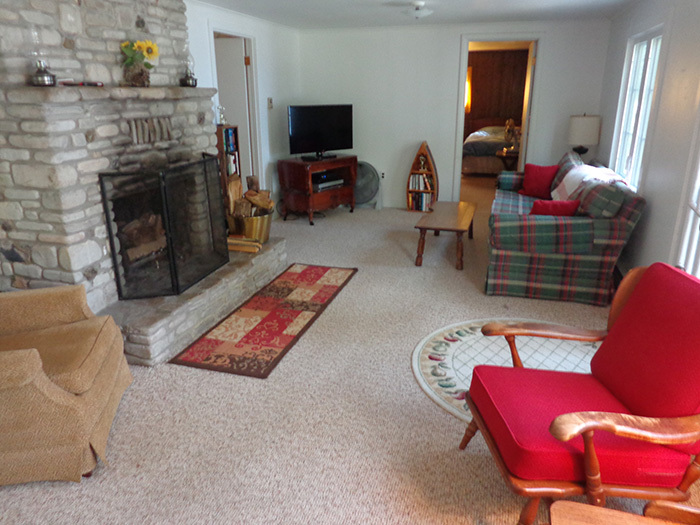 Nature surrounds this quaint, secluded cottage. Large Families!! 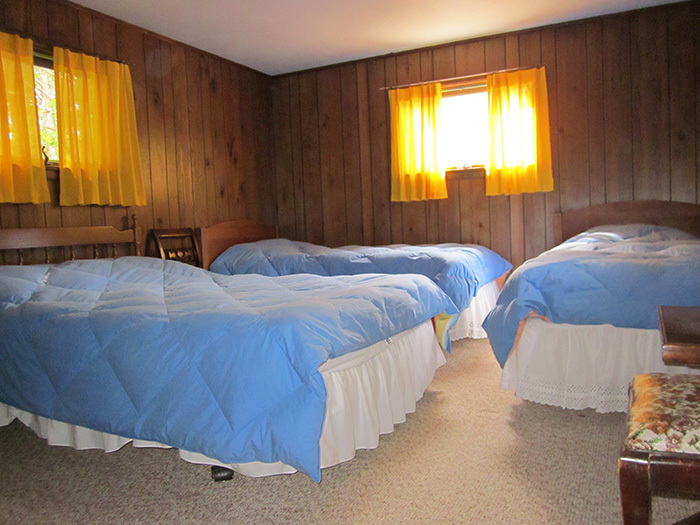 Tired of trying to squeeze many children into small motel rooms? The Fleetwing has three bedrooms, a child’s bedroom with 1 double and 2 single beds and two separate bedrooms (one with air-conditioning) with queen beds perfect for your family! The Fleetwing is a ONE family rental. 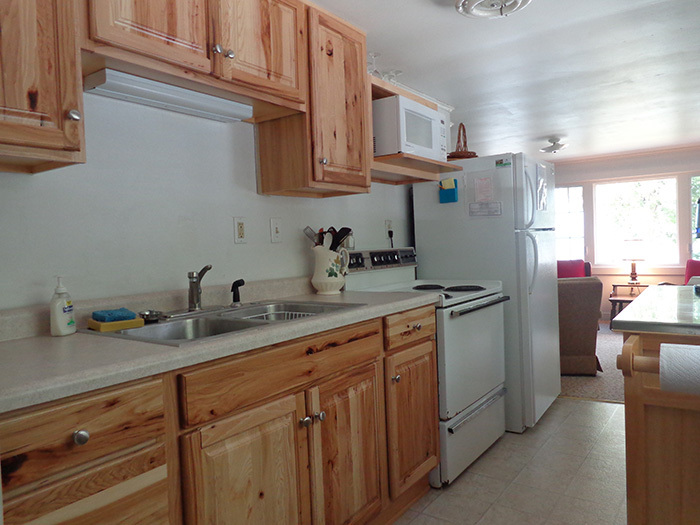 It has a galley kitchen fully set up for your needs, including full range, refrigerator, toaster oven and microwave. 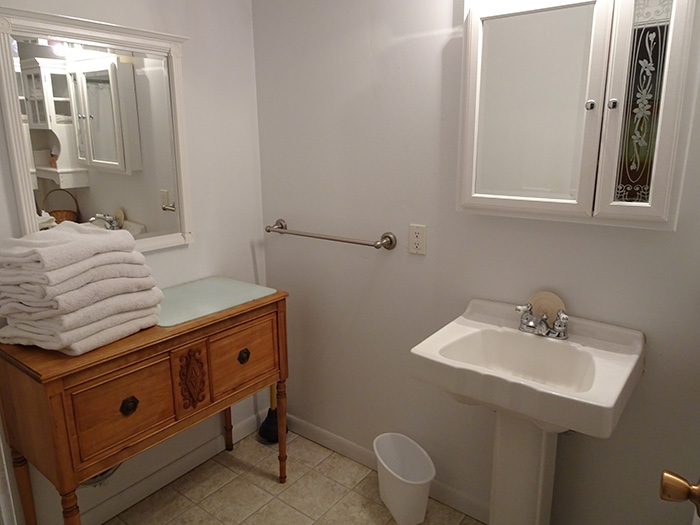 The two bathrooms each have a full tub with shower. 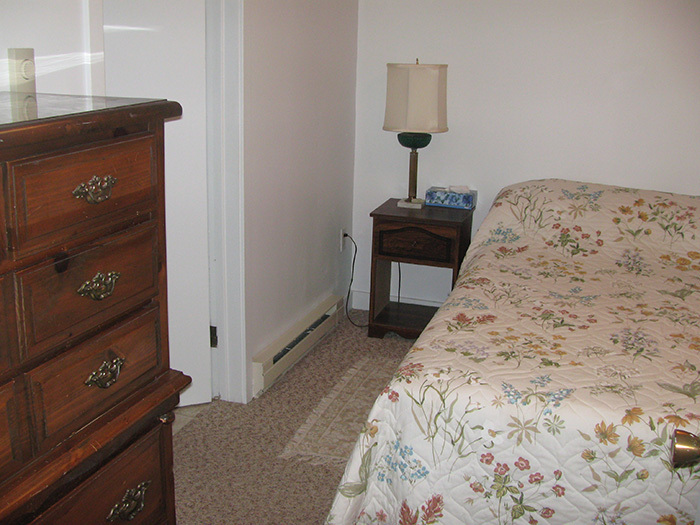 All linens and towels are supplied for you. 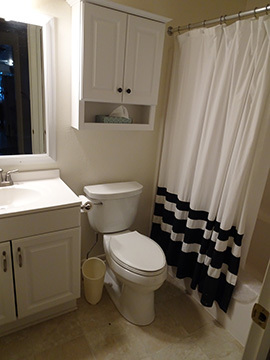 There is a washer and dryer for your use as well. 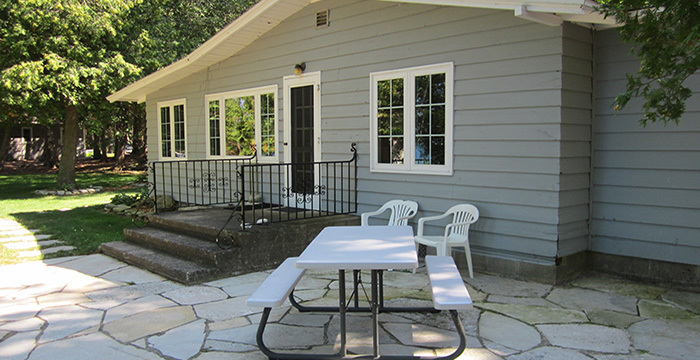 The outdoor eating area has a gas grill for your use and a wood deck overlooking Garrett Bay, perfect for your early morning coffee or watching the sunset. 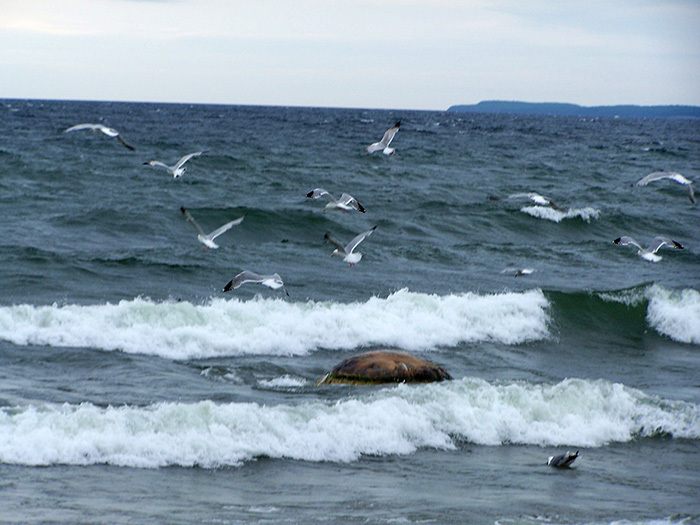 The Fleetwing is a nature lover’s delight with swimming right outside your front door and nature hikes and biking along Garrett Bay Road or Door Bluff Park. Remember, your pet is welcome too! 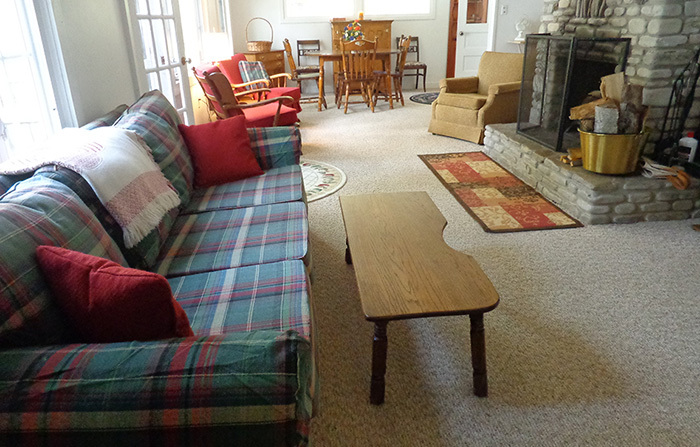 May to June 15th and October we require a minimum of a 3 night rental. June 15th through Labor Day we require a week rental. Thank you.